Vaccination laws in EU nations set to cause conflict? Consistently lowering levels of immunisation coverage amongst Europeans — spurred on by vaccine scepticism — is prompting some EU nations to introduce laws legally enforcing the vaccination of children. Public confidence in vaccination is currently lacking, with many parents in Europe opting out of having their children vaccinated. This coincides with a rise in outbreaks of preventable disease in Europe, such as measles, which is now seeing thousands of cases and a number of deaths occurring across the continent. The focal point of deaths in Europe being Romania (a country whose vaccination coverage is only 50 percent), in which more than 30 deaths have occurred, primarily amongst babies. More funds are needed to combat the spreading of false information regarding vaccination, says Heidi Larson, who heads the Vaccine Confidence Project (VCP), a World Health Organization (WHO) programme that tracks vaccines scepticism. Larson believes that funds are not being directed towards informing the public of the benefits and previous successes of vaccinations, and that this may curb the rate at which people are refusing vaccination. As part of the VCP, a survey was conducted on 65,819 individuals worldwide to assess the outlook on vaccines based on country. Of the 67 countries surveyed, France showed an alarmingly high rate of distrust, with 41 percent of the people surveyed believing vaccines are unsafe. The global average was 12 percent. While Larson’s advice may be to attempt to alter public perception, a number of European countries are facing backlash from the public for taking far more drastic measures. Initially in Italy, and now also in France, legislation has been put in place to make vaccination mandatory for those wishing to attend state schools. However, the Court of Justice of the European Union has also approved a legal ruling allowing for individuals to sue companies producing vaccines for conditions supposedly developed as a result of the vaccination “whether or not there is any scientific evidence linking the two”. The combination of the legislation opposed to court rulings could create a tense atmosphere for companies providing vaccines to Europe, as high liabilities could make the provision of the vaccines a financial drain. Earlier this year Italy expanded its list of mandatory vaccinations. Previously the list only included four vaccines, along with a number of recommended vaccinations. The Italian government has now established a list of twelve vaccinations that a child is legally obliged to have been administered before the age of six (school starting age) or the parents will face a fine and the child be barred from state schools. Italy has seen a surge in measles cases in recent years. Italian Prime Minister Paolo Gentiloni placed the blame on the spread of anti-scientific information on vaccinations, largely referencing the revoked publication by disgraced former doctor Andrew Wakefield, who published falsified and unethically obtained data claiming vaccination was linked to autism. Despite being proven false Wakefield is still widely cited by the anti-vaccination movement. The move to enforce a greater number of vaccinations has been met with widespread protests across Italy. These protests have been hailed by anti-vaccination websites, claiming the Italian government is enforcing the decision with no need for it, potentially fueled by dealings with pharmaceutical companies. What the anti-vaccination websites neglect to mention is that Italy has now fallen below WHO guidelines for herd immunity. It should have 95 percent measles vaccination coverage for two year olds. Currently the country has around 80 percent coverage. It is no coincidence that measles cases are on the rise, with more than 3,300 cases this year alone. The French government has also announced plans for mandatory vaccination. As of 2018, a list of 11 vaccines will be a legal requirement for children. This recently announced policy is likely to receive substantial opposition due to France’s population disproportionately believing vaccines to be dangerous. French Prime Minister Edouard Philippe announced the policy by declaring it unacceptable that children are still dying of measles. He went on to say that France is a country in which some of the earliest vaccines were pioneered, citing the work of 19th century French scientist Louis Pasteur, who made many breakthroughs in the field of vaccination, creating vaccines against diseases such as anthrax and rabies. Prime Minister Mihai Tudose has announced that current circumstances in Romania — referring to the measles infection of over 7000 people since the first case was announced in early 2016 — call for an introduction of a mandatory vaccination law similar to that of Italy and France. In an interview with Radio Romania Actualitati, a public radio station, Tudose acknowledges that there are far reaching problems in Romania due to low vaccination rates. Addressing the issue of people refusing to vaccinate their children is vital. Prime Minister Tudose acknowledges this adversely affects the herd immunity of the whole of Europe. He also expresses the intention to reassess the vaccine supply chain. In the interview he mentions that there are hiatuses in the supply of vaccines, as well as inconsistencies in the level of supplies across the country. All of these things, he says, will need to be addressed in potential vaccine legislation. Framed from the angle of consumer protection, the Court of Justice of the European Union has decided a lawsuit may be filed against a vaccination company if a person develops a condition after a vaccination regardless of whether it is related to the vaccine, with no need for scientific proof. This ruling is linked back to a French legal case that was dismissed in France, but taken to the EU courts. The case involved a French man who was immunized against hepatitis B in late 1998-99. A year later, the man was diagnosed with multiple sclerosis. In 2006, he and his family sued vaccine-maker Sanofi Pasteur claiming the condition was due to the vaccine. The French courts found no link between the two. Multiple studies have concluded there is no causal link between the vaccine and multiple sclerosis. The court ruling claims that due to the “imbalance of power” that exists between individual consumers and large corporations the burden of proof is not required. This claims to “protect consumer health and safety and ensure a fair apportionment between the injured person and the producer of the risks inherent in modern technological production”. This sets a very dangerous precedent, in which a person who receives a vaccine, then develops any condition, related or not, across their lifetime, can place the blame on the vaccine with no scientific correlation required. Dr. Paul Offit, a paediatrician and vaccines expert at the University of Pennsylvania, said the criteria used by the court made no sense and set a threshold so low that any disease could be associated with a vaccine. The standards are similar to those used by vaccine injury compensation programmes in the United States. “Using those criteria, you could reasonably make the case that someone should be compensated for developing leukemia after eating a peanut butter sandwich,” says Offit. 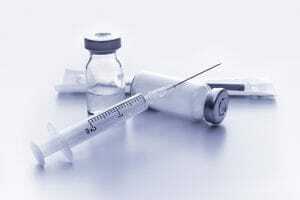 Though this may seem far fetched, in a situation where vaccination coverage is greater than 90 percent, some of the vaccinated population will be expected to develop, for example, multiple sclerosis. With low threshold standards and no need for scientific study, the condition, and any other condition developed by people who received vaccines, can be blamed on the vaccine. 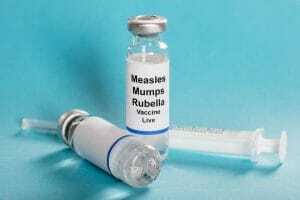 Contrasting vaccination laws set to cause conflict for Pharmaceutical companies? The contrast between national and EU laws is extreme. On a national level, countries are taking legal steps to increase vaccination coverage. In the face of rising levels of preventable diseases in Europe, this may be necessary when vaccine scepticism is a consistent threat to disease elimination progress. The legal case by the EU courts however present an ideal opportunity for anti-vaxxers to abuse the legal precedent and claim any number of conditions are due to vaccines, without needing to prove their claims. This creates a hostile situation for pharmaceutical companies in which they could theoretically be held liable for any illness that occurs over the course of a vaccinated individual’s lifetime. If court cases become common due to this ruling, profits will fall, likely increasing the cost of vaccination. Coupled with legal requirements by governments to vaccinate children, services these countries are providing as part of a free healthcare system, the increased costs could place a huge strain on healthcare budgets in the future. The increase in liability also dissuades pharmaceutical companies from investing in vaccine research, as profits are lower, hampering innovation.